This is a favourite recipe of mine, which my niece loves - she's under 10 years old, and I know how hard it is to please youngsters at dinner time. This recipe is sure to put a smile on your kids' faces. 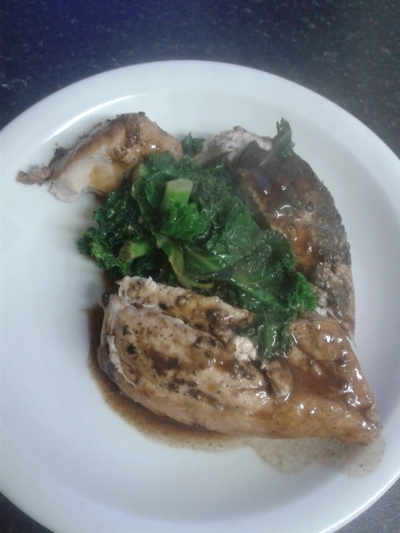 The balsamic goes sweet and slightly sticky when cooked, but it's sugar free, so you're serving up a plate of goodness. I don't need to mention the health benefits of the current superfood - kale, so get cooking and win brownie points with both your kids and your conscience. 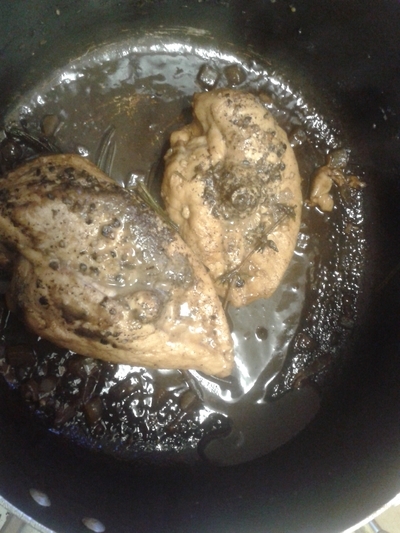 Place the chicken in a large saucepan with 2 pints of water, all of seasoning and the vinegar. Cover with a lid for 20 minutes and simmer. 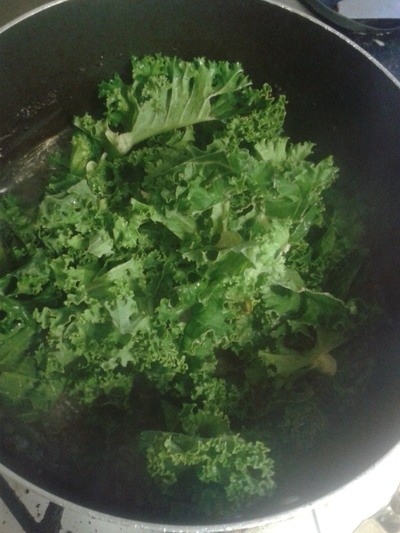 Place the kale in a saucepan of boiling water. Simmer for 5 minutes. 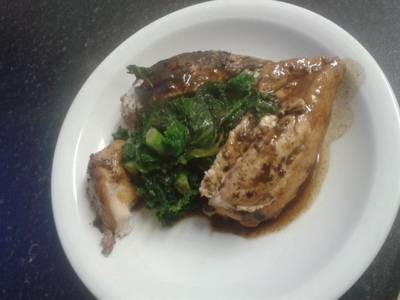 Remove the lid off the saucepan of balsamic chicken, keep on the simmering heat but watch it so it does not burn. 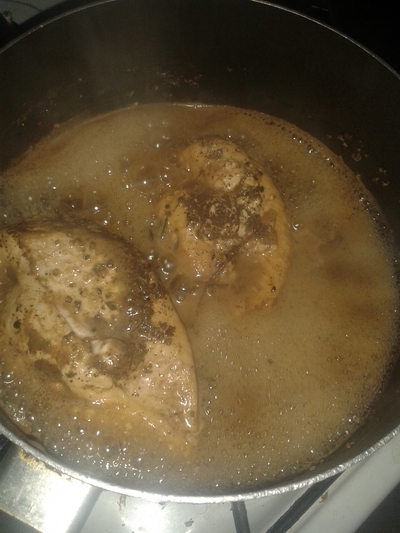 The balsamic will have caramelised. 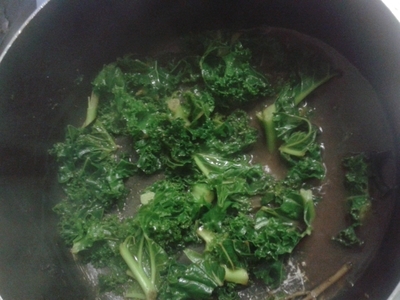 Take the kale off the heat; the kale should have wilted and reduced somewhat. 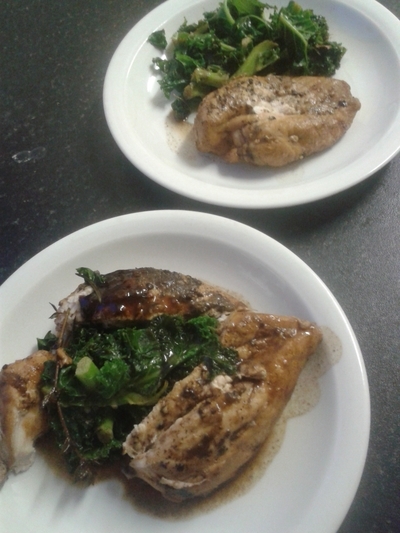 Serve with the kale arranged around/in the chicken for prettiness. Watch your kids eat this meal of goodness in record time, and rest in the knowledge they've had a satisfying, healthy meal. Does blogging help aid stress?